Bermuda General Agency Ltd. has signed an agreement with Seabased AB of Lysekil, Sweden, to purchase two 20 MW wave energy parks in the Caribbean. Seabased designs and installs offshore parks that convert ocean waves to electricity for the grid. Feasibility studies of the Caribbean project will begin on several islands this summer, and phase one is expected to be operational by the fall of 2019. Phase one of the first 20 MW is a 5 MW pilot project in the Bahamas. Brown says many islands are competing to be among the first to have wave parks. According to the agreement, Seabased will design, manufacture, install and manage the maintenance of the wave parks. 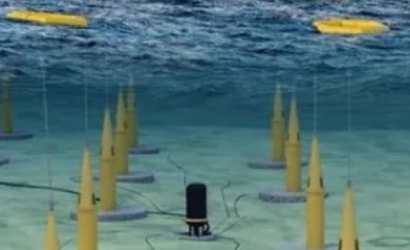 The permitting process has already begun in several Caribbean jurisdictions, making the Caribbean islands pioneers in bringing wave energy forward.